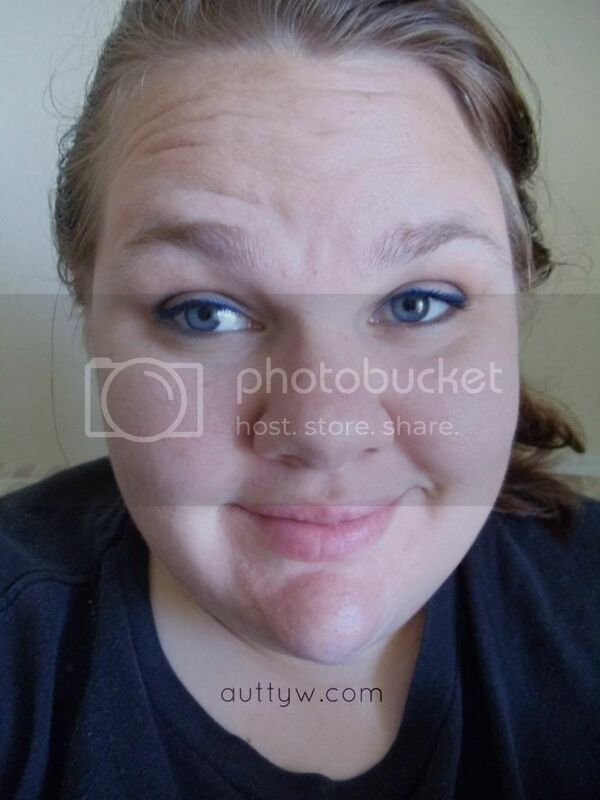 AuttyW: FOTD 16 Bold Eye Liner! FOTD 16 Bold Eye Liner! This is the eye look that I wore yesterday (May 17th). 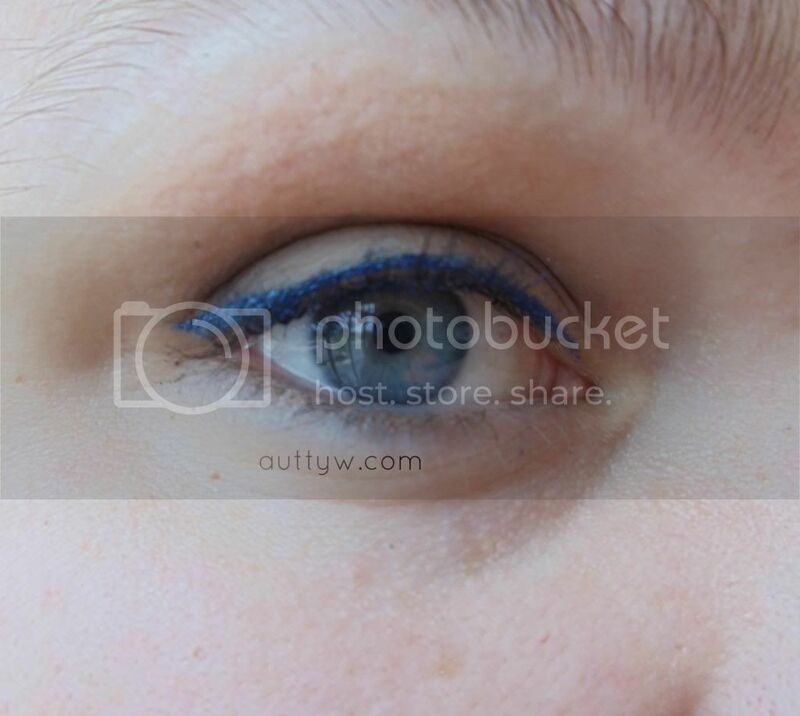 I wanted to do something simple, but use a "bold" eyeliner. I'm a little frazzled on how this turned out. One moment everything was okay and the next minute there was bumps, lumps and smudges! Seriously. it's my luck! When I started taking pictures everything looked good, then by the end of it, it went downhill. Pft. It's all good though. it's not crazy noticeable unless you are in my face. Blurry, but you kind of get the point of the look right? 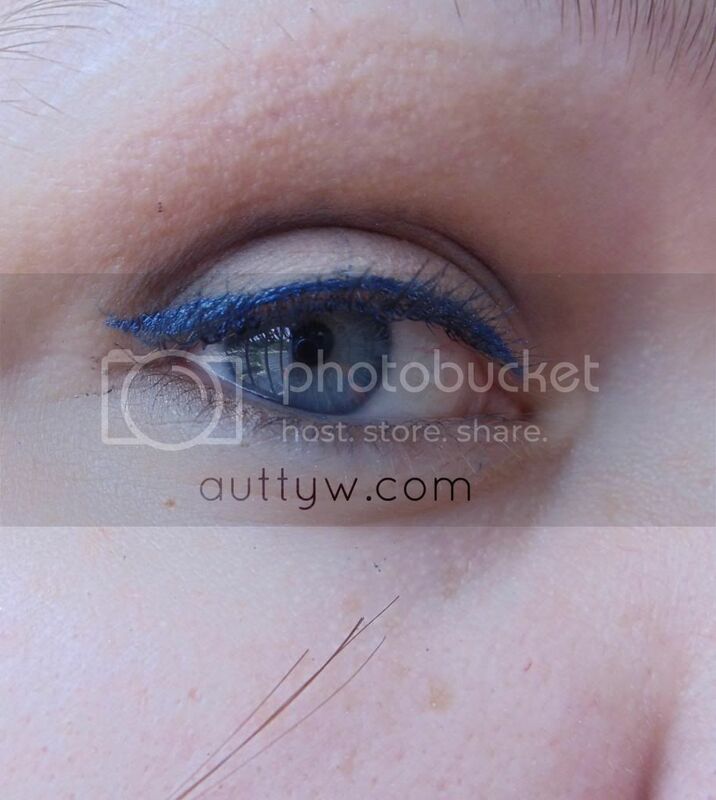 I wanted the blue eyeliner to be the main focus of my eyes, I didn't make it crazy because it's pretty bold itself. I've had this eyeliner a long time but never tried it because I was too afraid it would compete with my blue eyes, but I quite like it! :D Whoopie! A mixture of Buck, Smog, Darkhorse & Hustle smudged along the bottom lash line. I used the Maybelline Shine Free Pressed Powder in Soft Cameo and dusted it all over my face. I'm testing this but so far am not impressed. Have you tried a bold eyeliner before? !